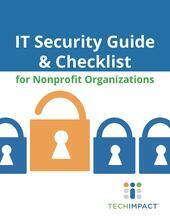 Your nonprofit is a target for cyber-attacks, but it doesn’t have to be. The criminal world sees nonprofits as easy targets that lack resources and know-how to thwart attacks. You also have valuable information on donors, volunteers, and constituents that can be sold for up to $8 a record. Empower your nonprofit with the knowledge and tools needed to protect your organization and your mission. Don’t be a soft target.